Stress is caused by too much pressure. If not checked, it can lead to inefficiency and health scares. Read on to find the common causes and easy ways to overcome them. Problem 1: Running around whole day and not being able to complete the tasks assigned. Most of the times this happens die to poor management of time. Solution: Prioritize the tasks. It is very common to do unimportant things first. So just prioritize daily. It will solve the problem of not having enough time. 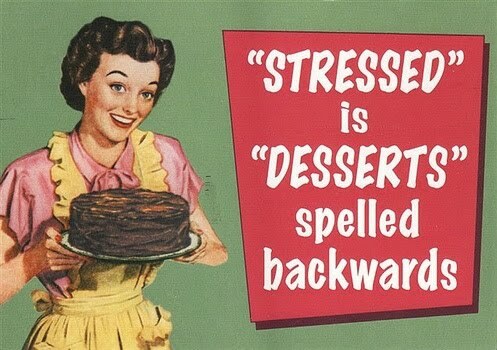 Problem 2: Not taking time for fitness and eating too quickly can increase stress. It lessens you ability to cope with stress. Solution: Take your time to eat. Exercise regularly. Use your anger on the sand bag. Just a few techniques will help go a long way in managing stress. Problem 3: Not giving time to relax. Remember the woodcutter story. Do not become the woodcutter who labors on only to find he is doing less. Solution: Relax and do things you like. It helps you recharge. Sharpening the axe is going to help you manage stress in a better manner. Problem 4: Not accepting the reality. Sometimes you run too much and try to do something you cannot do. It gives more stress. It is a vicious cycle. Solution: Just accept the things as they are. Every man cannot be an Ian Thorpe. Accept situations and what you are. Problem 5: Not accepting change. Changing job or moving house can stress you out. These are major changes in your life. Solution: Just accept the changes and move on. These simple methods can help you beat the extra stress and make you a happy being.